I am busy working on some new projects today, so I thought I would share a post from last Halloween. Soon it will be time for class parties. I miss those days, because they were always so much fun. 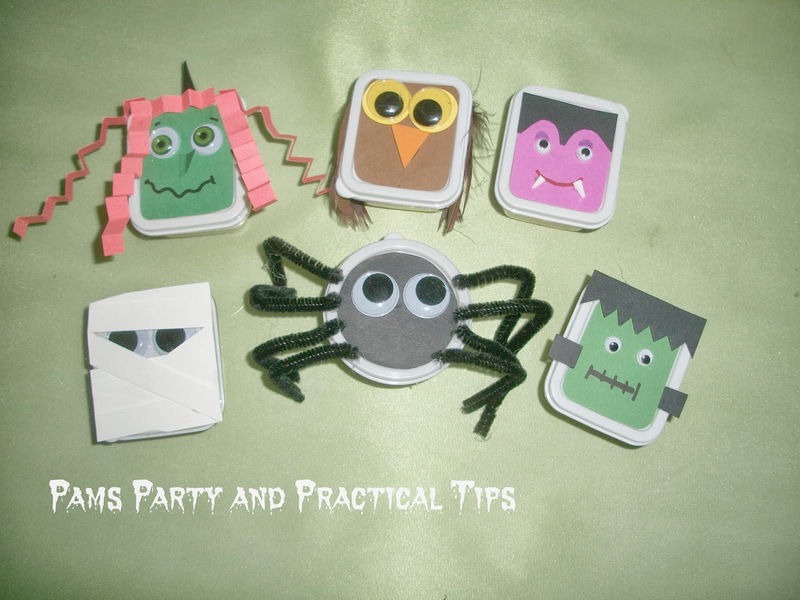 A fun thing to bring for the class are treat boxes that are filled with your favorite candy. You can find these boxes at the dollar store in packages of ten, so for just a few dollars you can make enough for the entire class. You can see how to make the mummy, spider and Frankenstein boxes here, and the witch, owl, and vampire here. I will also be making some candy themed boxes for my contributor post on my friend Becky's site Your Modern Family in the upcoming days. Can't wait to share them with you.